My first full year out of college felt pretty successful. I made the finals at USA Outdoors and finished 10th, dropped my mile PR by 7 seconds to 4:30 and dropped my 1500m PR to 4:08. All things considered, I was on a roll and ready to keep improving. But as in life, things in running seldom happen as we expect. I ended my summer season last year on a stress injury in my lower tibia. After 4 weeks in a boot, I started out on the Alter-G with a few easy miles every few days. I spent a few weeks just on the Alter-G, then slowly started to add in land miles. I felt like I was progressing, but several weeks later it was apparent that I wasn’t fully healed. I was managing around 10-15 miles a week outside with another 10 or so on the Alter-G but couldn’t progress any further without feeling some pain. Finally, after 12 weeks of frustration, I decided to take another break. I felt pretty lost after deciding to take a break in December. This shin injury had been present for 2.5 years, and with the lack of healing, I was worried I had done permanent damage. I had taken time off and been cautious about returning to training, but I wasn’t healed and didn’t know how to proceed. How much time should I take off? How do I make sure I get healthy this time? 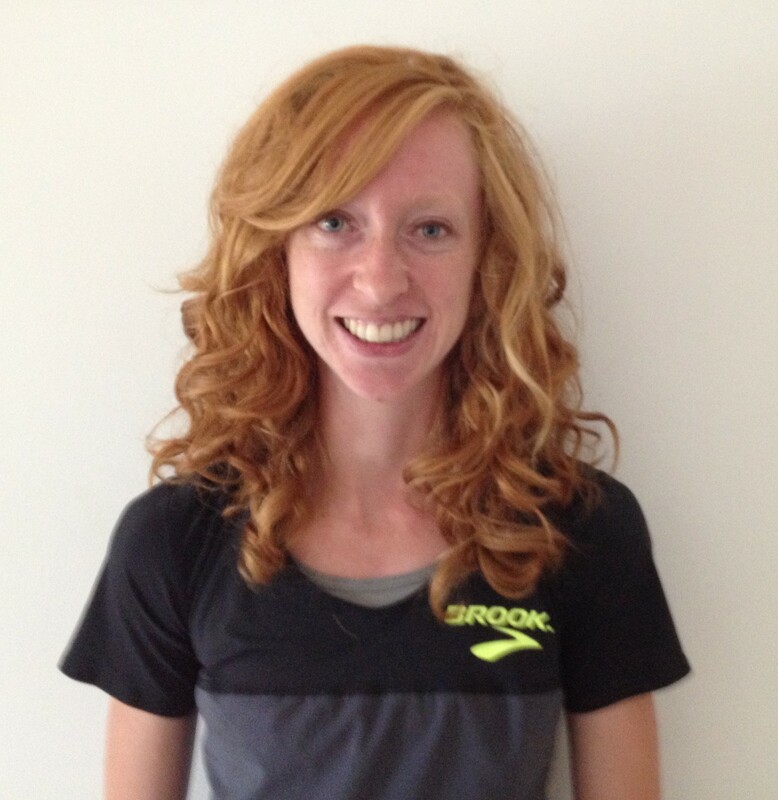 I didn’t know if I would race much at all this year, and without a sponsor or any hope of one in the foreseeable future, I started thinking seriously about whether running professionally was realistic. I gave myself a worst-case time frame. (I didn’t want to be disappointed again). I told my coach I needed somewhere between 1 and several months off, and that I had no idea when I would be ready again. At least I would be ready to start training for the Olympic year. I stopped worrying about getting a sponsor, I placed no expectations on myself, and I just focused on getting myself 100% healthy for the first time in a long time. It’s funny how God has a way of speaking to us when we finally relax and stop trying to control every aspect of our lives. I took a step back and stopped worrying, and slowly He took care of my concerns. I was promoted in my job and my husband began working full-time in his job, and we felt financially more secure. I took advantage of my extra time by coaching a local high school team, and I had a blast seeing them grow throughout the season. I began going to PT in the winter, and after a mere 5 weeks my physical therapist encouraged me to try running again. It was such a relief to have someone else tell me to try because I was too scared to make that call. And so January 19 I started running again. My first week consisted of a grand total of 3.25 miles on the Alter-G at 70%. But it was something. This time I was even more conservative in my return to running. That first month was a total of 26 miles, only 10 of which were outside. I finally hit 30 miles a week on land in early April and maintained around 35-40 miles a week outside (plus 5-7 on the Alter-G) for the rest of the season. I had outlined a plan back in January to be ready to compete at the Outdoor Championships. I had the qualifier from last August, so it was just a matter of feeling fit enough to be competitive. Using a conservative running plan combined with loads of cross-training and some good workouts, we were optimistic. My first few races went well. 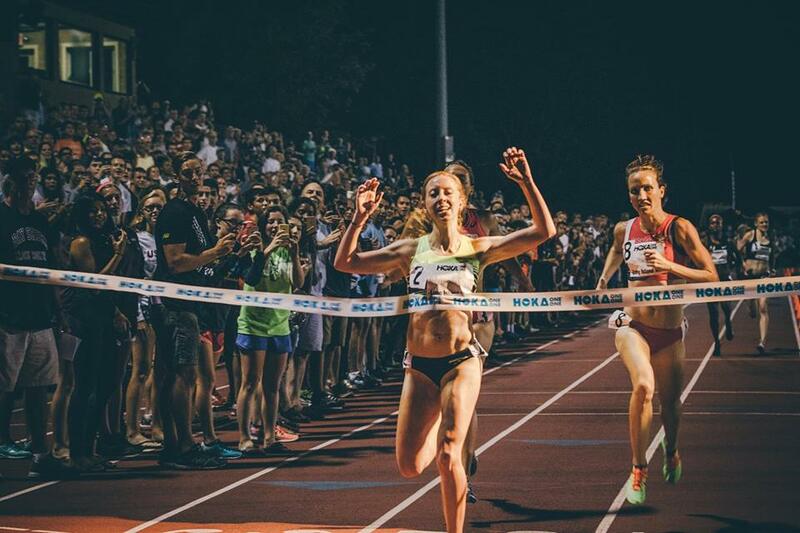 I finished 3rd at the USA Road Mile Champs, and my first 1500 on the track was a 4:15 wire-to-wire run in May. I thought I’d run 4:07 by USAs. I even dropped a few really good workouts in between. USAs came, I ran my hardest, and my 4:13 in the prelim made me the fastest loser. It’s easy to get into shape, but it’s hard to get into PR shape. But I was happy to have made it to the starting line and held my own. I decided the rest of the season would be getting into as many races as I could and learning from every situation. If you don’t go to Europe, there’s really not many competitive track opportunities available. I ended up running 4 road miles in a row after USAs, mostly in Michigan. I enjoy road miles, and they definitely allow the opportunity for pure competition, but it’s hard to tell how you are progressing without the track. Finally the Sir Walter Mile arrived, and I had my chance. I thought sub 4:30 was possible, but I also thought I could fall out the back in this race and run 4:40. I ended up feeling amazing and finally running a PR of 4:29.06. One month later I was on the starting line for the Hoka One One Long Island Mile. Unlike Sir Walter, where I was still running a little scared, I finally had my confidence back that had carried me through college. I had nerves, but the good kind where I was excited to see what I was capable of, not worried that I would fail. I was mentally engaged and focused every step. I ran confidently and executed what might have been my best race ever, staying patient the entire race and unleashing a kick at the perfect moment for the win. I finally felt like I belonged at the professional level, which I have struggled with believing since I graduated. It always felt like all the professional runners were over there, and here I was, unnoticed and just trying to hang on. I capped off my season with a 9th place finish at the 5th Ave mile, and while I would have liked to finish higher, I gave it my all and was proud to compete in such an elite field. I never expected to finish this season feeling more confident and inspired than ever. I had written it off long ago and was basically treating this year as a chance for some moderate training before gearing up for the Olympic year. It’s crazy how a few moments can completely change your outlook. Sir Walter and the Long Island Mile were the most fun I have had on the track in years, and maybe that’s what I needed to remember why I compete. For me this sport is about those few and far between perfect moments of racing, where all the training and hard work and dreaming come together on the track. I don’t know what the future will hold for me in running, but I do know that if I put God in charge, things will work out, sometimes in the most unexpected ways. So here’s to starting a brand new year and all the possibilities that come with it! I stumbled upon this post when trying to find one of your older posts to send to an old college teammate of mine. I wound up reading this one in the process, and my heart needed it so badly this week. I was really encouraged by it. It’s funny how God used your post from 3 years ago to speak truth into my life today. Thankful for a God who has impeccable timing, and thankful that he uses His people as vessels. I just thought you should know how much you encouraged me without even knowing it.